How Our Writers Draft Marketing Assignment? Students studying management have to submit several marketing assignments throughout their academic career. They have to do this as it plays a vital part in their career. But, they have to study several other subjects as well, and that's why it's not so easy for them to put all their efforts in writing just the marketing assignments. Moreover, they have include necessary concepts and theories in their assignment and complete it before the deadline. However, most of them fail to do so. 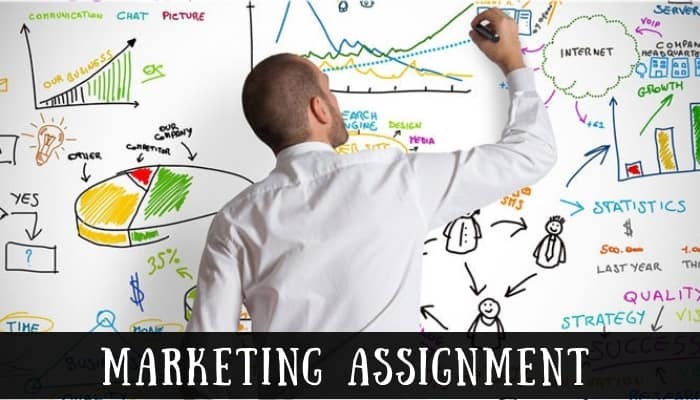 Being the best writing service provider, they choose to take marketing assignment help from us. Every scholar knows that the writers who are working with our company are efficient and give privilege to clients. So, let's have a look at the steps that our writers follow to draft an excellent marketing assignment. Whenever our writers receive a request for writing any marketing assignment, they start working on the topic at the earliest as they know that it is the most important step for producing an impeccable work. To understand the subject matter very well, they start doing thorough research. They make use of various online and offline sources, such as the internet, books, articles, or management magazines to gather appropriate data. It helps them collect relevant information to write. According to our writers, most of the students escape this part, and that's why they fail to have sufficient content for their assignment. The next important step that our writers go for while writing marketing assignments is doing a proper analysis of all the collected data. Research only provide relevant facts and figures but analysis help in finding out the significance of that information. It helps to remodel and revise a few data. Moreover, it enables to differentiate qualitative and quantitative data. So, it can be said that data analysis is important for both writers as well for readers. Our experts know that assignments having proper data let students fetch good grades in their academic paper and that is our main motto. Once the data is collected and analyzed, then our writers draft a proper outline. It helps them get their work done quickly and more efficiently. Moreover, it helps them organize their thoughts and the ideas regarding the subject matter so that while writing experts can include them in the document in a proper sequence. Not only for academic writing work but also for any task, a work plan is very important. It acts as a roadmap that just needs to be followed. Drafting an outline acts similarly for the marketing assignment. Having an outline before going for the writing process makes it easier for the writers. Now, our writers write the final content very precisely. They divide it into mainly three sections such as introduction in the beginning followed by the main body, and conclusion at the end. They also follow proper citation and referencing styles to avoid plagiarism. Moreover, they follow the guidelines mentioned by the professors as they know that the quality of the assignments determines the grades of the scholars. The last step followed by our writers while drafting a marketing assignment is editing and proofreading. These are the most integral part of academic writing. While many students find them unnecessary, our experts suggest to follow these steps once they're done with the writing part. It helps them find out grammatical mistakes, typos, or misplaced punctuation in the document and correct them. It ensures that the work that gets delivered to scholars is flawless. So, these were the five steps that our academics writers follow while drafting a marketing assignment.